Customer Of The Week…Daily Double! Help me welcome Robin to the Customer Of The Week Club! 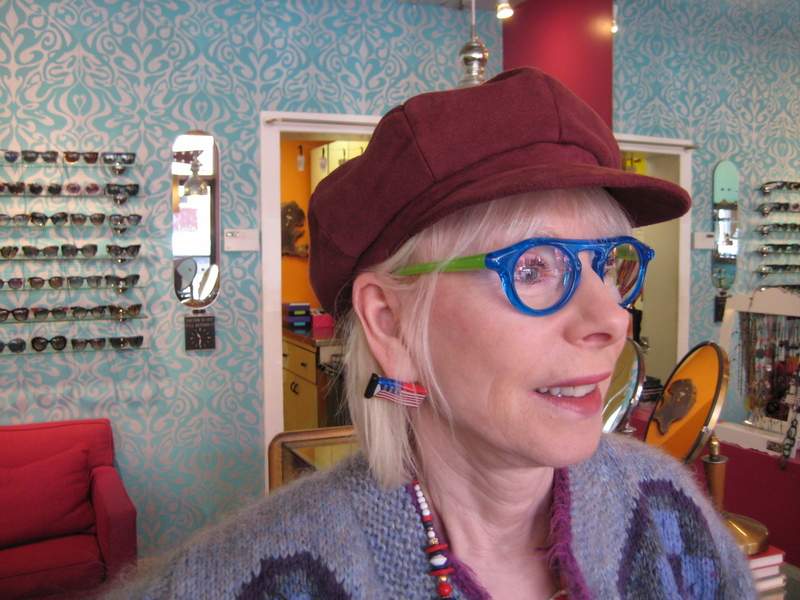 Robin’s first visit to Eye Spy Optical was a little bit strange…the Queen of Specs and the Optical Oracle were on at the shop and just moments before Robin stepped in the door, the power had all gone out. This did not deter Robin. 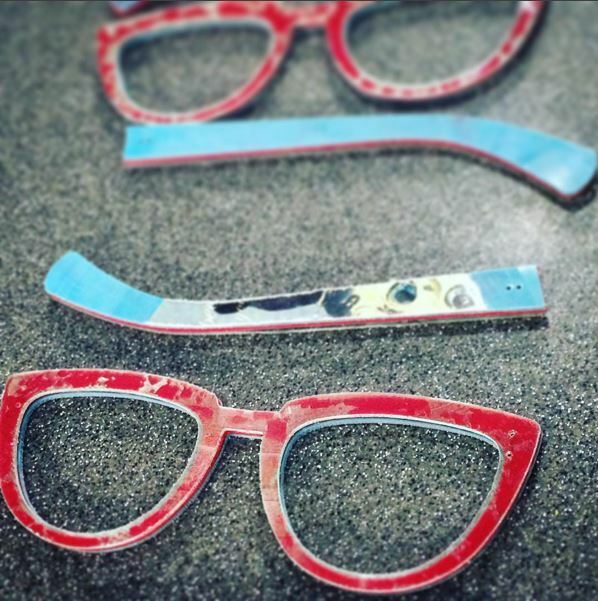 She had been sent by one of her fab friends to look at our unique frames and a little power outage wasn’t going to deter her. 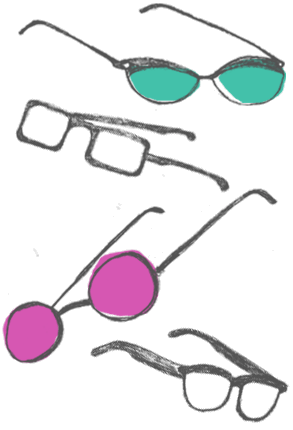 She looked around for a bit, trying on frames in every color under the rainbow. 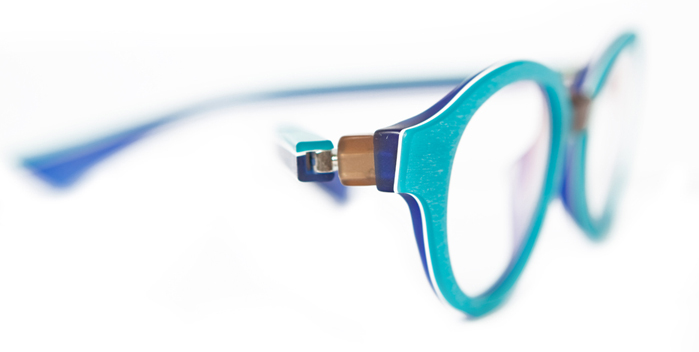 A Theo frame caught her eye…part of a limited edition of flourescent Mille specs…in bright blue and green. I know this is purple…but you can imagine this in blue and green can’t you? Robin loves color and accessories, so she also wanted to look for something she could wear with her jewel-tone outfits. 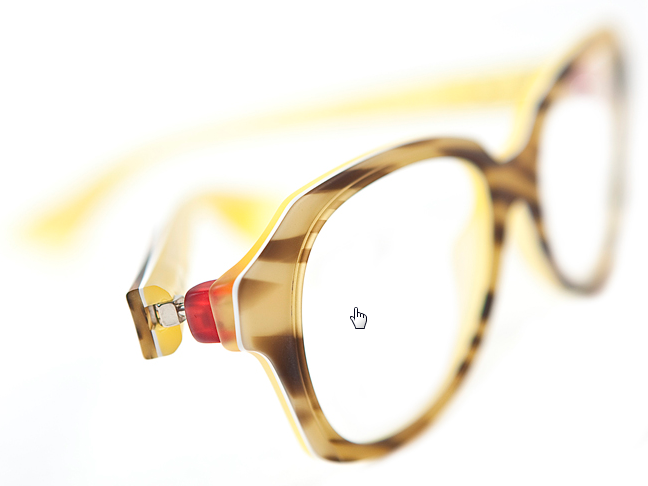 She tried on Niloca’s Fermie frame and knew she had found her frame-charming. The kalaidesope of amethyst, garnet and carnelian colors was gorgeous with her coloring and would match her hats! 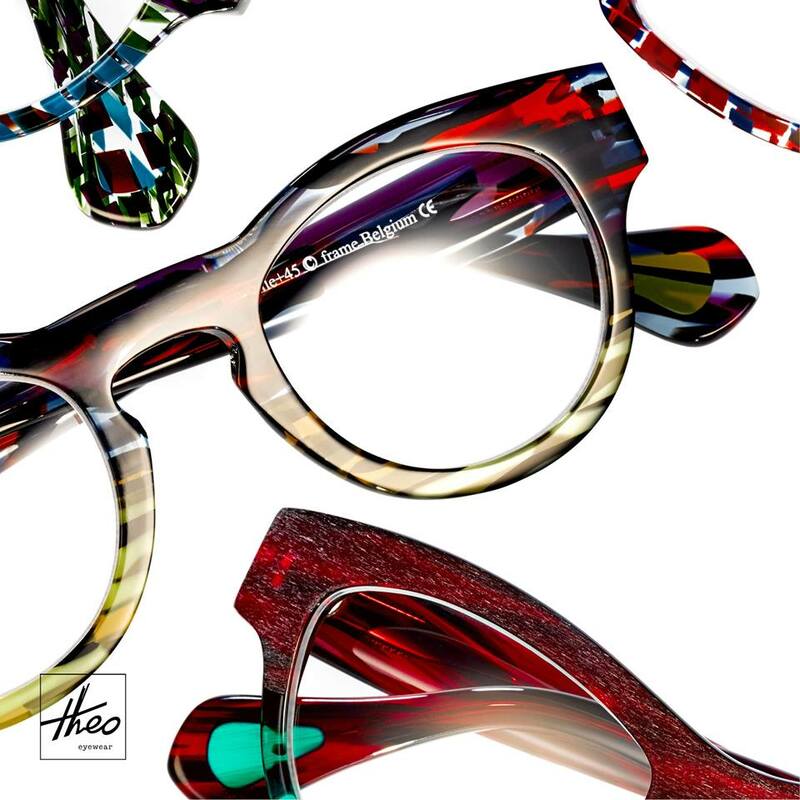 So it was settled…Theo and Niloca frames in gorgeous limited edition colors were going home with her. 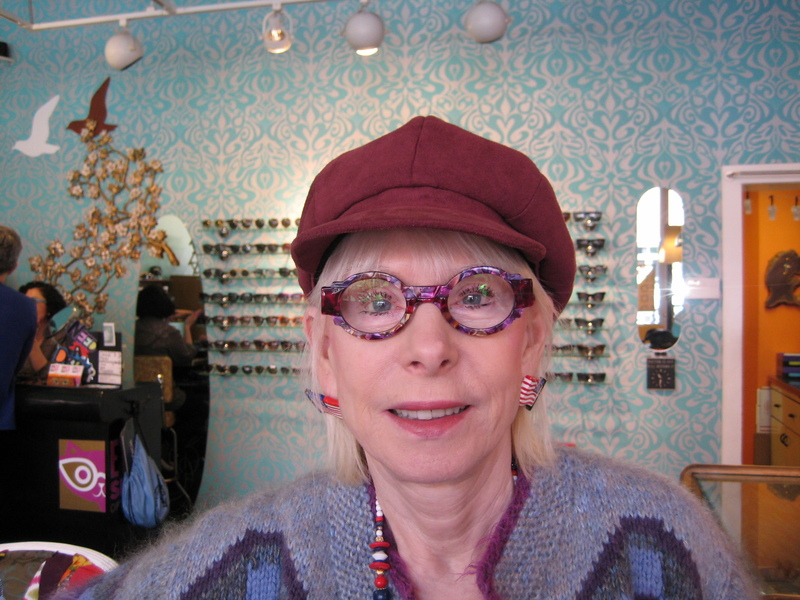 We love Robin’s bold choices and think she looks beautiful in both of her new specs! Introducing our lovely Customer of the Week… Anne! 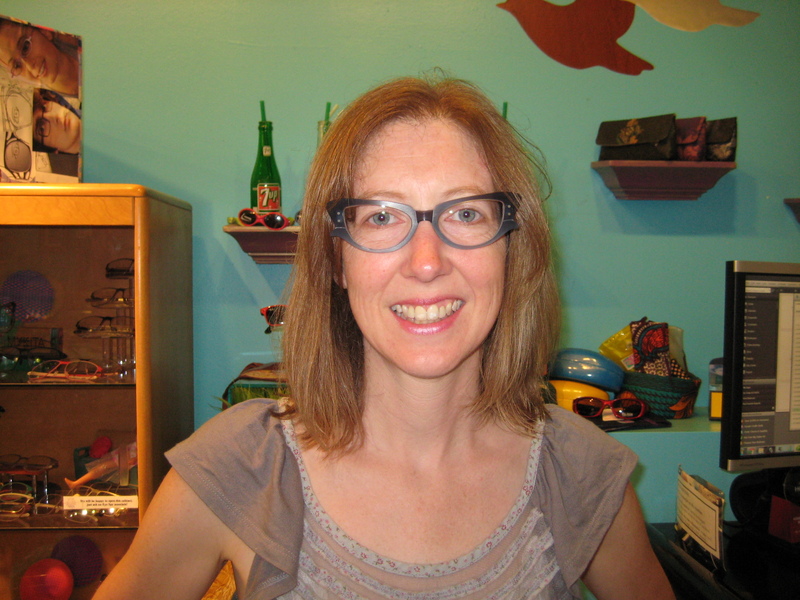 Look how adorble Anne is in her new Theo Pourbus frames! 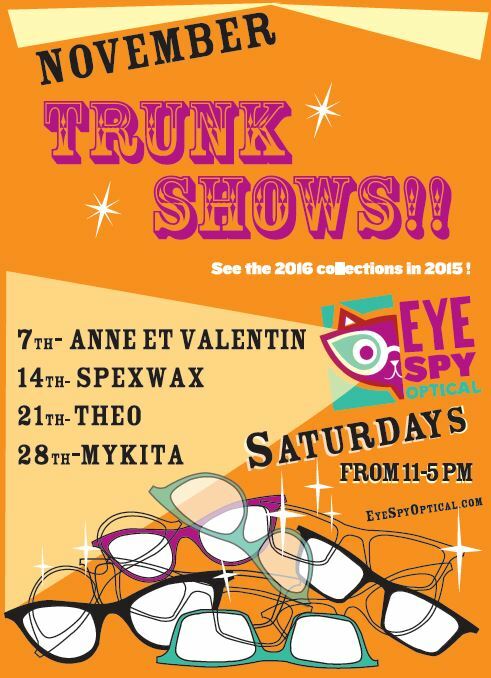 Anne was referred to us by a random person on the street who was wearing awesome specs from…you guessed it: Eye Spy Optical! (note: she got referral discount!) 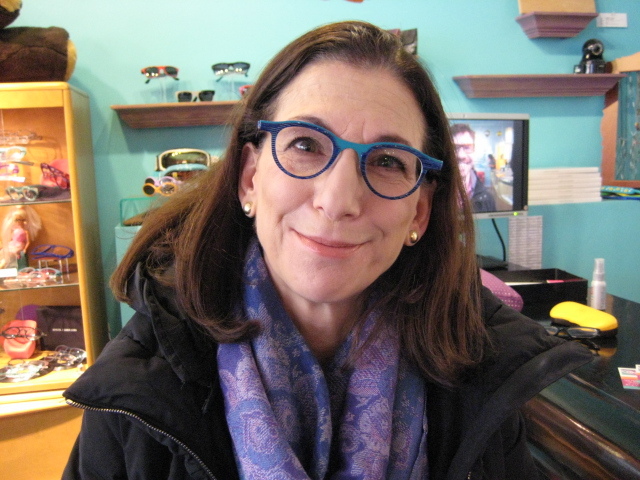 Ann was very happy that she listened to the kindness and suggestion of a stranger for her first pair of glasses….and as she put it so aptly, “If you have to wear glasses, they might as well have some pop.” Agreed. Check out the detail on this beauty! Thanks for being so much fun Anne! 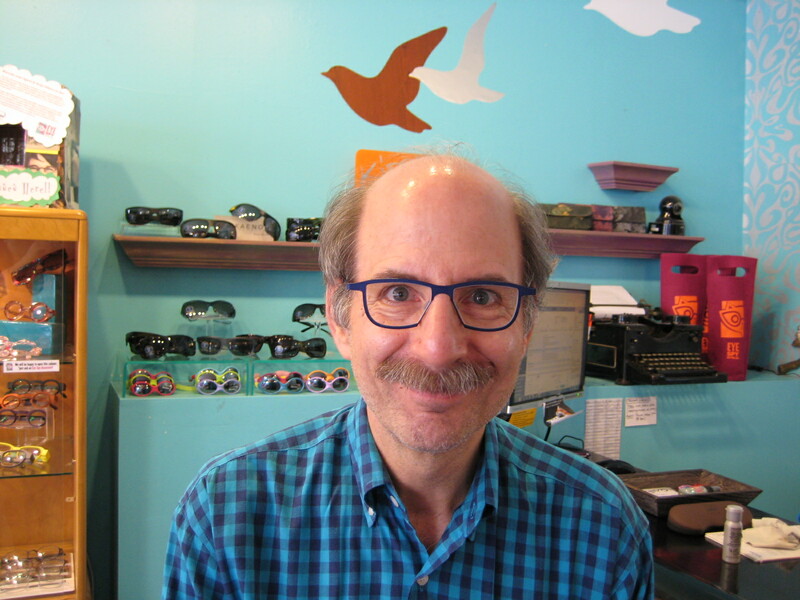 Check out our new Customer of the Week: JOHN!! 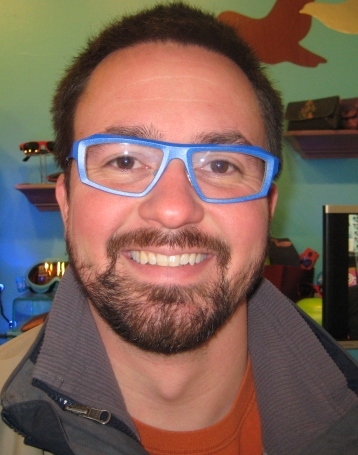 So it was no surprise to us when he chose these hot THEO Dillinger’s in electric blue to adorn that wonderfully bearded face! 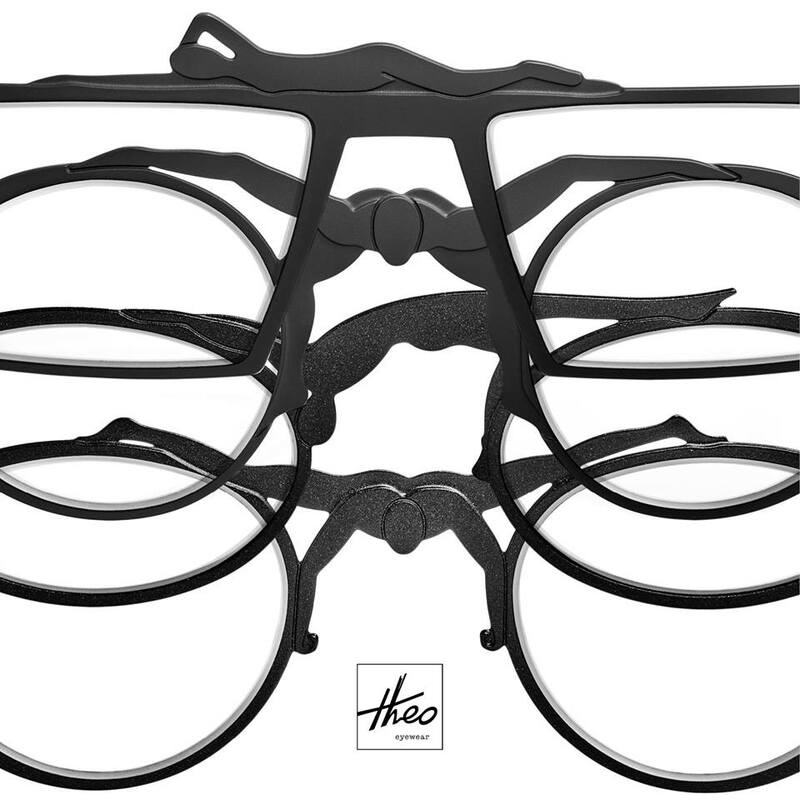 These THEO’s are from their newest Spring 2014 collection, so we had to special order these titanium from Belgium. They are so exclusive, we don’t even have them in the store yet! 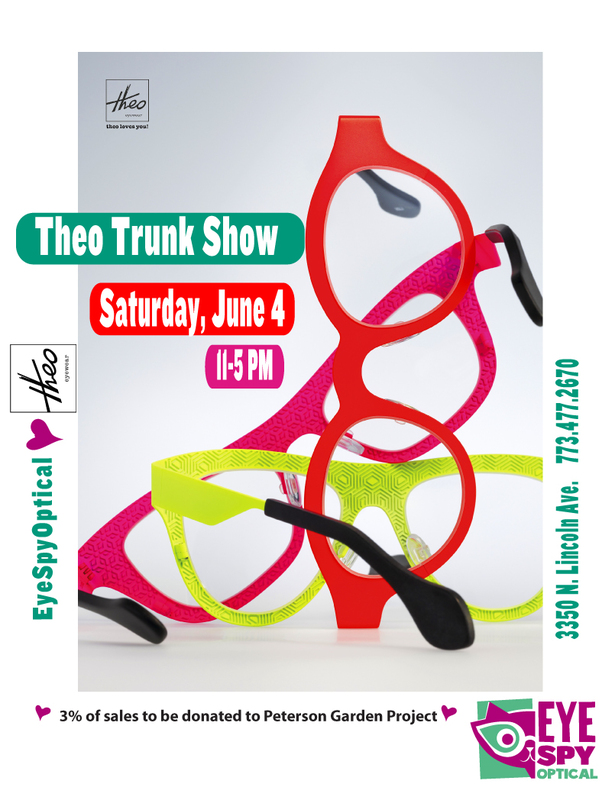 THEO definitely loves you, John…and we do too! It’s customer of the week time again! This time we went with a dynamic duo… Cassie and her roommate Adrienne! Yes, Adrienne does work here, but we could not resist. 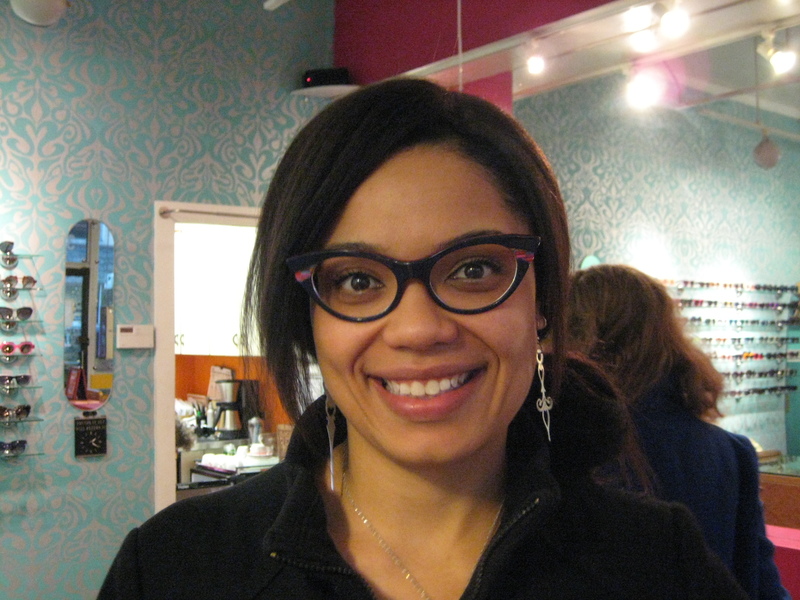 First up is Cassie in her speckled Gentle Monster Fafala frames! Turns out Adrienne picked this beauties out for Cassie. 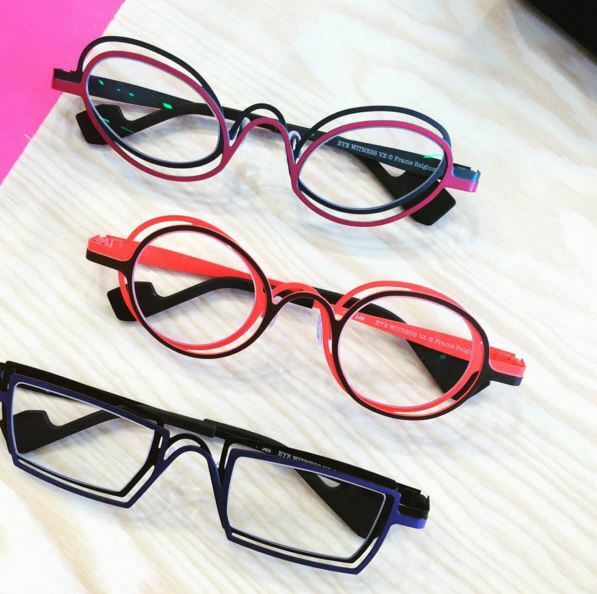 Adrienne has been dreaming of a cat-eye since she started at Eye Spy… she finally found the perfect one: Francis Klein Wing in a brand-new color! 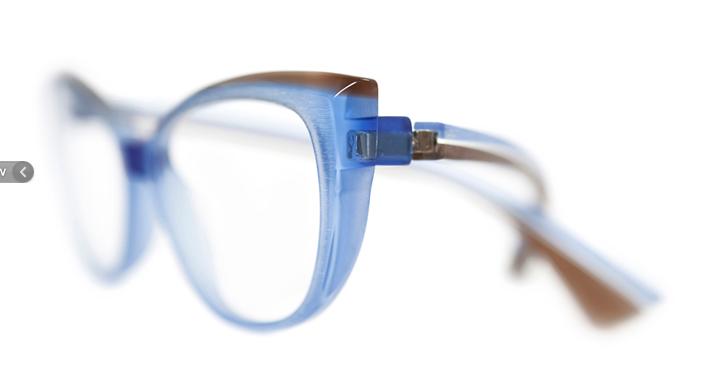 It’s a navy acetate with a mosaic-detail peeking out from behind. Roomie love in fabulous glasses. Clearly Adrienne is beyond excited about her glasses choice, as is Cassie! This week’s Customer of the Week iiiiissss: Rachel!! 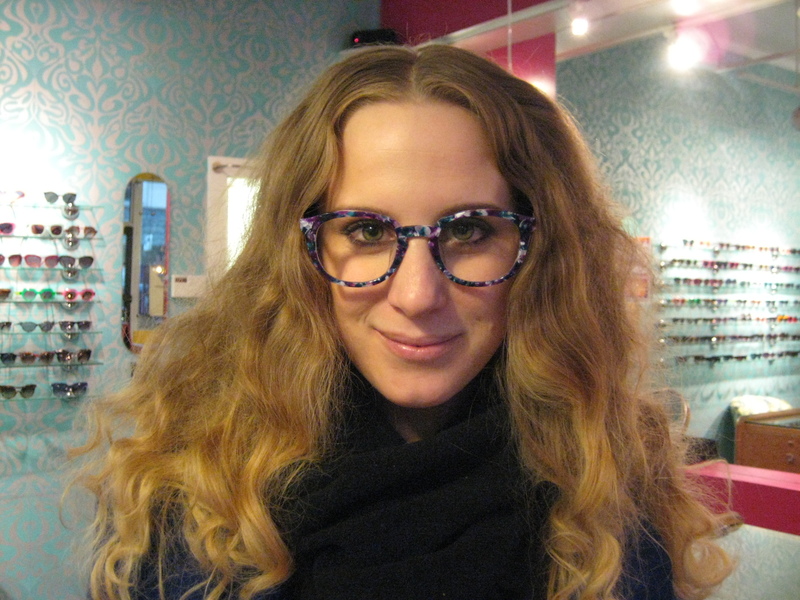 Congrats to Rachel for being bold, choosing these Canadian-made works of art…and being our Customer of the Week! 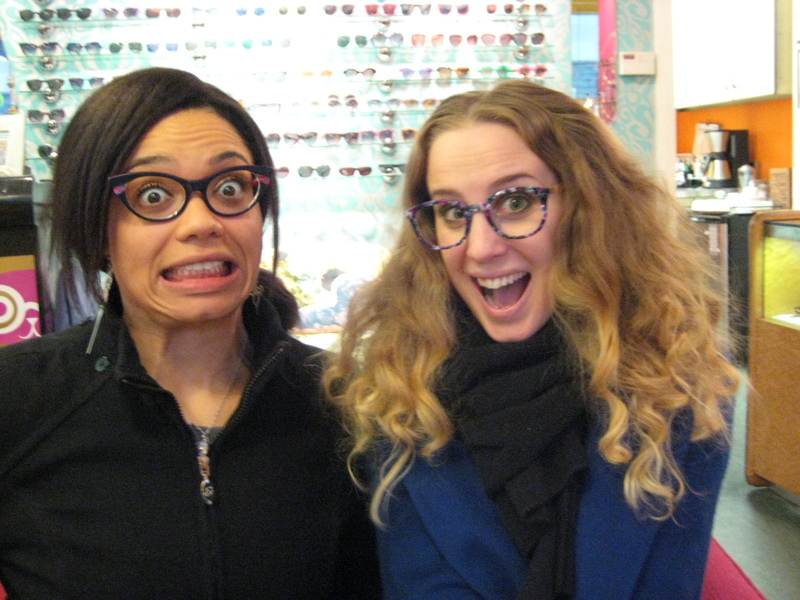 Check out these two adorable ladies in their sweet new frames. 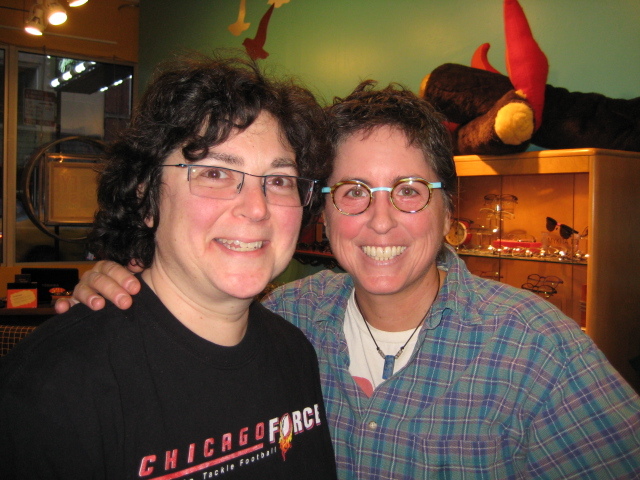 Miriam (on the left) is wearing her new Theo Dore frame, and Susan (on the right) is wearing her brand spankin’ new Anne et Valentin Fanzine frame. 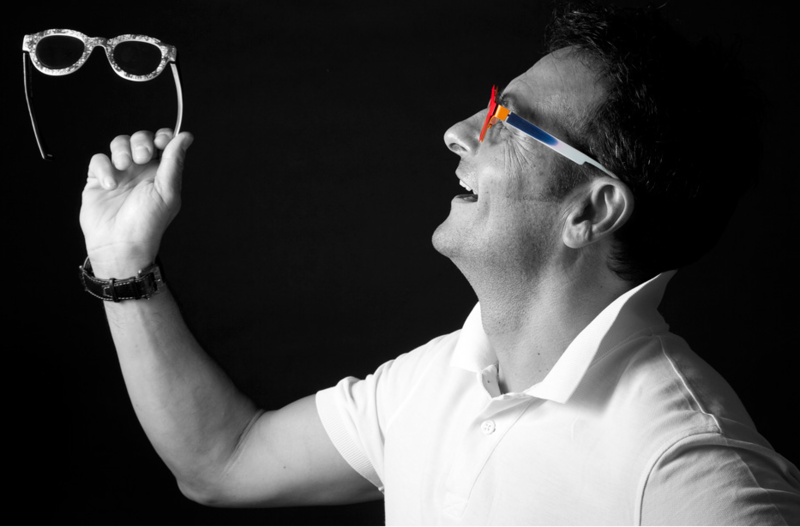 They look so happy and awesome in their new-found frames…and who wouldn’t be?! Congrats to Miriam and Susan on being our Customers of the week!